It’s Makeover Monday again! In fact, this whole week will be Makeover Week since the rest of the week we’ll be talking about replacing, and adding, new windows into our house! 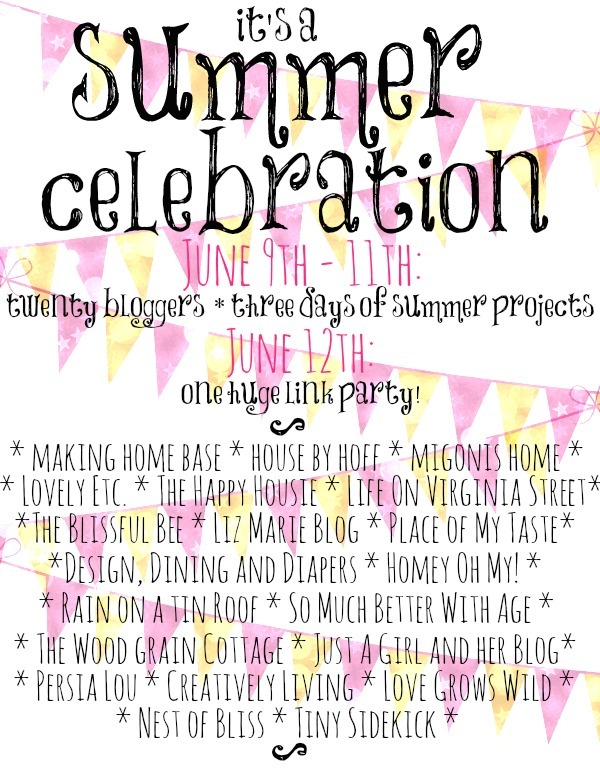 But today is the kick-off to the Summer Soiree where I’ve teamed up with some great bloggers who will be sharing some gorgeous projects over the next few days. While walking through Target the other day to knock off a few things on my list I went down an aisle that had products I’d never seen before at Target. Did you know they carried paint and removable wallpaper? I didn’t either. This beauty was on sale for $26. Normally I wouldn’t pay that for a little pop on a makeover I’m selling but I knew this would make a great impact. 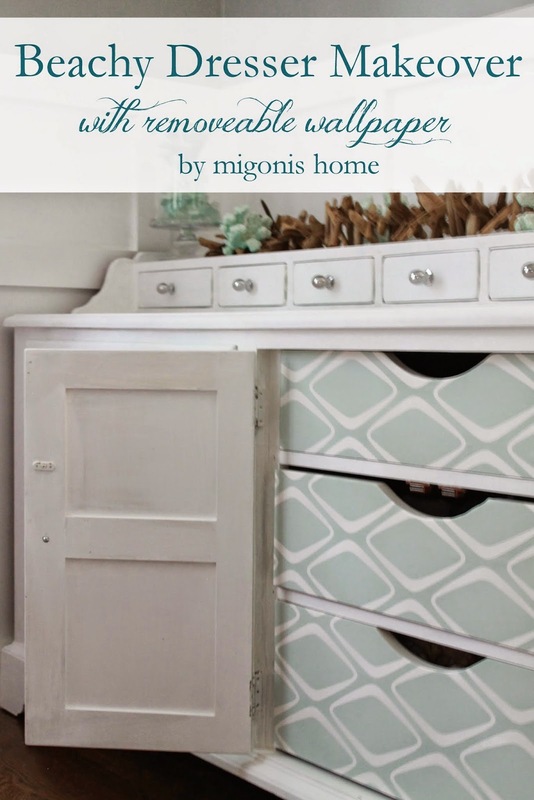 I first painted the tops of every drawer I was covering and then let it dry so I wouldn’t have to worry about doing a couple of coats once the wallpaper was on each drawer. Initially I painted the whole dresser Cheesecake by Country Chic Paint, it’s a great color that’s a mixture between off-white and tan but when paired next to the wallpaper AJ and I thought it looked a little too yellow-y. Maybe a little too “Cheesecake-y”. 🙂 So, I did a second coat with one of my favorite Country Chic Paint colors, Simplicity. I never get tired of white makeovers if they are paired with unexpected details. I’m getting itchy to use wallpaper on another project now… this was fun! 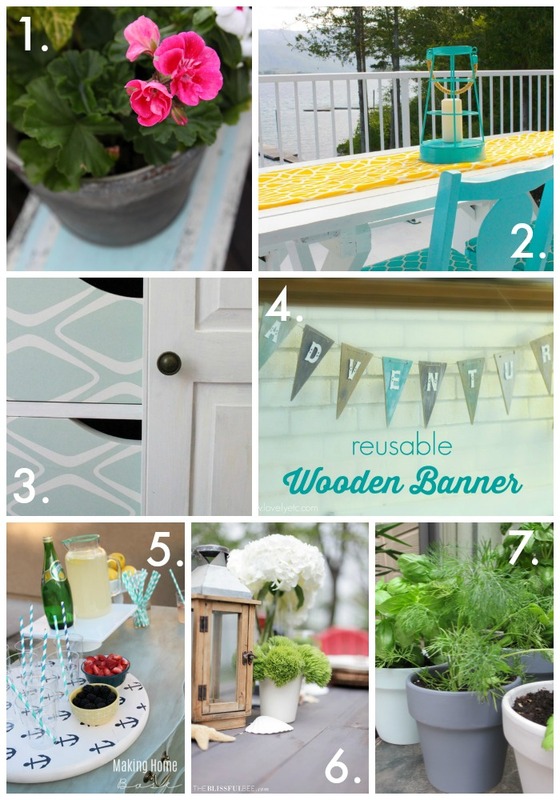 Here are some great ideas from today’s co-participants of the Summer Soiree to kick off your summer in style (you just saw #3 in detail. :)). Each day this week I’ll be sharing with you great projects. Come back on Thursday at 7am to link up YOUR summer projects!